On March 28th, 2013, my mother died. She died in a hospital. It was the third time she had flat-lined, and the all the efforts of all the doctors couldn’t bring her back. My step-father had called me in the middle of dinner, sometime after the second time she was brought back; he left a voice mail that said simply to call him back. When I did, maybe an hour later, the machines were going off in the background, his voice was strained, and he told me the facts baldly — she has flat-lined again. This is her third time. I don’t know what to say. I’ll call you back. 2013 was the year of the selfie. Fancy phones with reversed lenses made taking pictures of yourself easier than ever, so much so that the OED word of the year was in fact “selfie.” It was surmised that everyone was taking self-photos: pop stars, presidents, even bald eagles. So I guess it shouldn’t have been surprising that when my mother spent 40 days in the hospital in early 2013 and much of that time on her fancy phone with the reversed camera, that she should decide to take a selfie too. Except that she hated to have her photo taken. 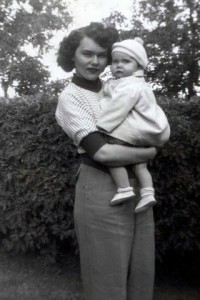 My mother was notorious for hiding from the camera, not just in later years when she decided she was “too big” to be in any given picture, or too old, or too something, but even when she was young, thin, and as beautiful as I’ve ever seen her. She had a great fascination with photography and had enrolled in a course, which meant that me, my brother, my stepsisters – hell, anyone in the family she could get — were forced to pose for various photography assignments. This being the 80s, most of these pictures ended up on slides. She had a special machine for viewing them all, technology that seemed both super advanced at the time, and still oddly ancient as it seemed to be a throw back to old camera reels that people watched home videos (without sound) on. My mother was a talented photographer; she felt much more at ease behind the camera than in front of it, capturing beauty and smiles and moments. Photographs were very important in her life — she was always trying to capture the moments as they slipped by. Birthday parties, vacations, holidays, family dinners, just cuz days when the camera had film. Taking the photos was the easy part — she had rolls and rolls of unprocessed film filling up junk drawers and old suitcases, and boxes of photos that never made it out of their envelopes. When the digital age hit, she traded in her fancy film camera for a fancy digital one, and taught herself some basic photoshop skills. She made a project out of trying to scan and repair old photos, starting with photos from her parents’ lives, removing the tears and wrinkles and printing them up and framing them. She tried to get as many of the old rolls of film that had sat in drawers developed and spent tons of money on fancy labs that promised to do their best to properly color the aged negatives, save what images they could. I bought her a fancy scanner that could take images from the negatives themselves, and even from her old slides. She bough albums and photo boxes. She spent countless hours immersed in images of the past. Despite all the time spent trying to preserve and organize these images, it always seemed as if it was the lives of other people she wanted to cherish forever in 5 by 7 or 4 by 6. Her children. Her siblings. Her friends. Getting her in front of a camera was a group effort, a huge ordeal of cajoling and pleading, and sometimes snapping photos without her being aware of it. Her efforts to get people to delete unflattering photos of her were epic, particularly since she considered every photo unflattering. As her health declined and she gained weight (though at the time we thought she gained weight which caused her health to decline), her phobia of being captured as she was (in her words gross and fat and ugly) meant that years of her life went completely undocumented. So imagine my surprise when I started going through the photos taken with her smartphone and saw that not only had she taken photos of herself, she’d taken these photos at her most vulnerable: while lying in a hospital bed, tubes and wires coming out of her skin, gown open and stretched to barely cover her, hair flat and matted, skin made pale in the fluorescent light. She’d taken several photos, some of her making faces, some looking serious and somber, as though she felt the need to preserve (at least for her own eyes) some record of what it meant to be in a hospital. Probably she was just bored. And yet, she didn’t delete these photos. I know she never thought they would be seen. I know she never imagined a future where her daughter might scroll through her photo stream and, among all the photos texted to her, find these selfies. Shockingly, these weren’t the only ones. 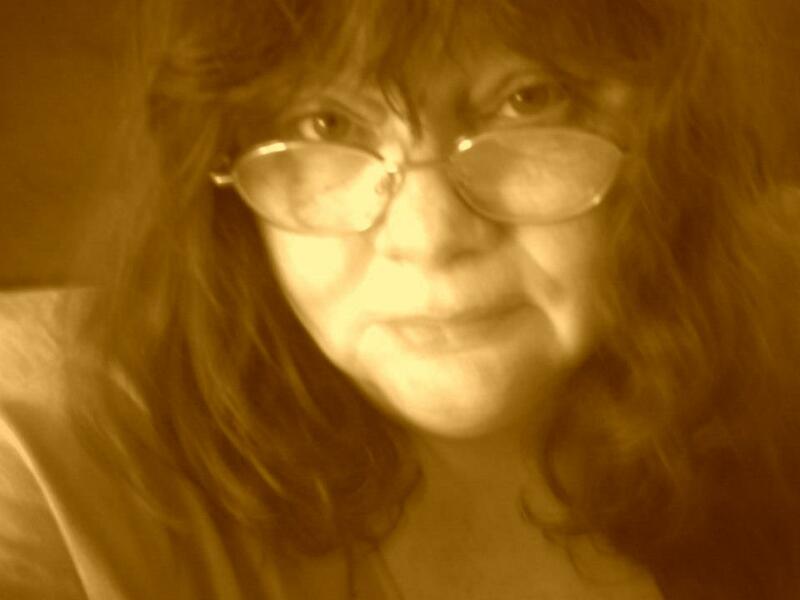 There is one where she is at home, probably in her room, and she is peering out from over her glasses, looking bemusedly at the camera as if to say, yeah, what? She was fond of saying “whatever” and the look in her eyes in that photo declares the same. Whatever. So I’m old. Whatever. So I got fat. Whatever. So I wear glasses and probably my bangs are too long (her bangs were always either too long or too short, never actually achieving the right length). Whatever. 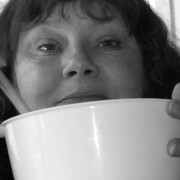 And still another photo is of her peering out over a mixing bowl, wooden spoon in hand, a small smile on her face. This one is my favorite, capturing her in the midst of one of her favorite pastimes, mixing together some recipe that probably only existed in her head, and tasted better than anything I will ever be able to put together. The thing about the selfie is that it allows the person taking the photo to control their own image, to capture themselves just how they want to be captured. Artists have made entire careers out of the self-portrait, carefully crafted images with just the right lighting, set, style, flash. The fact that the less artistically trained are using photo-apps to do the same shouldn’t mean the intention is any less noble. We are all trying to shape our own images, to present the version of ourselves we see in our heads, to preserve not just how we look at any given time, but how we thought we should look, should be seen, should be known as. My mother did not share these selfies with the world, and that somehow makes them more poignant: these were not images of how she wanted others to see her, but private moments she shared with herself. They are the remnants of some dialogue she had with herself, some moment of reflection, and of pure human vanity — or whatever it is that drives so many to flip the lens around on their cameras and capture themselves. When I found these photos, I sent them to everyone — her siblings, her friends, her husband, and all were as equally amazed that the woman who hid from every other camera had so willingly posed for her own. But of course she would. Of course she did. It was the most human thing to do. And I will always be grateful that she did. I have my grandmother’s cats. There are two of them, ceramic, shiny. I can’t remember them clearly; one is more pinkish, the other more purple or more blue. I think the pinkish one is sitting up, while the other is laying down. They are patchwork, but I couldn’t tell you a single detail of a single patch. I can tell you that they are currently sitting in the bedroom that used to be my room, on top of the wooden chest my mom bought me, and are among a handful of items of my grandmother’s scattered about the house. Her vanity. A lamp (I think). Several vases. And actually and properly hung up on the wall, oil paintings of roses she painted herself. My memories of my grandmother are always of seeing her in her space, surrounded by these decorative items she collected, many of them gifts from her children and grandchildren. She and my grandfather lived in many houses, but every home had the same overall feel as the last, thanks to the furniture and items they took with them, thanks to Nanny’s display case, her tea pots, her porcelain flowers, her vases, her cats, her treasures. It was in her last home, the first she and my grandfather owned and which my aunts and uncles helped her paint and decorate, that I have the strongest memories of her. This was after my grandfather had died, after my brother had died, when I would go up to visit friends and family in a state I no longer lived in and stay with my grandmother, and we would sit in her living room among all her items and talk. Most every other memory I have of my grandmother was through the lens of my mother. I heard more stories about her than from her. I heard about how complicated my mother’s relationship was with her. I heard about all the hurts and slights. I heard about the harshness in my mother’s reported childhood, the not-so-secret secrets, the dramas and hysterics and proof that my mother had it harder than me. Those visits are the only memories I have of just my grandmother and me together. Nanny told me about the loss of her own brother, when he was only 31. She would listen to me talk about mine, and add her own insights into how she saw her grandson. We would talk about the grieving process together, about the loss of her husband, about the loss of her grandson, about how much she missed having peers, people her age, to talk to. Her hands would never sit idle, always playing with something, twisting something, tearing some piece of paper or cardboard into tiny confetti that she would later scoop up and throw away. My hands are her hands, always seeking something out to twist and twirl and fold and tear. It’s not that I didn’t think that someday I would have in my possession things that belonged to my grandmother. I knew I would. This is the order of inheritance, of heirloom, of items passed down from generation to generation with the value of each item in the hands that held them before. 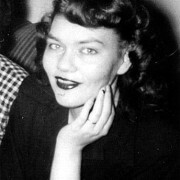 My grandmother passed away in March of 2006. And for the next 7 years, items that were hers were my mother’s. And then in March of 2013, they became mine. My grandmother and I talked about my mother. My mother hated secrets, and wanted to know everything about everyone she cared about, and it was this insistence of knowing that most put her at odds with my grandmother in their later years together, because my grandmother was good at keeping secrets. Her rule with me (and with many family members) was that I could tell her anything — and she wouldn’t share what I said with anyone else. I know she didn’t share with my mother, because we both knew that what we talked about would be too hard for my mother to hear. My grandmother with my mom or one of my aunts. We talked about how difficult and stubborn my mother was. We talked about how her grief was not like anyone else’s we knew. We talked about how hard it was for me to make my own space — in grieving my brother, in living my life, in holding the line between my mother and me — because my mom took up so much room. Nestled in among the soft pastels and muted jewel tones of my grandmother’s home, the sun going down without either of us getting up to turn on the lights, we shared the secret that my mother drove us both crazy, and that we loved her nonetheless. We had two perspectives on the same person, the one who raised her and the one raised by her, and yet our conclusions were often much the same. I took great comfort that I was not imagining the things I saw in my mother, that I was not just an ungrateful daughter who couldn’t find a way to make my mother my priority in life. I told Nanny things I didn’t dare tell anyone else, and she nodded, understanding, telling me it was okay, that I was okay, that I would keep being okay. Visiting with my grandmother was easy. She was not a demanding host, and always insisted that I not alter my plans to accommodate her. I’d take her to the store, if she’d let me, or at least go to the store for her and always be sure to remember to bring her back something sweet. She let me sleep in in the mornings, shooing her dog away from the guest bedroom door so as not to disturb me. She let me come and go as I pleased. She made no demands. Her door was always open. The room I slept in used to be hers; in their later years, she and my grandfather each had their own bedroom, and after he passed (and with help from my aunts) she redecorated and moved into his, turning her old one into the guest bedroom. I slept near the vanity that would someday find a spot in my old bedroom in my mother’s house. Every room of my grandmother’s home was decorated with various tchotskies so that the eye always had something interesting to rest on, some small treasure to find. (My mom would decorate her home with the same philosophy, if different color palette.) Nanny’s garden was much the same way, with surprises nestled in the wild-flowers and bushes to always give a visitor a sense of wonder. Conversation with my grandmother was like taking a tour of her home; talks were peppered with jewels of information and insight, and any twist in the conversation could lead to a story I’d never heard told before, or never heard her tell in quite the same way. But the stories were so quiet and the insights so subtle that like the patchwork ceramic cats that were always on a side-table, I overlooked them. I remember the feel of our conversations better than the actual details. 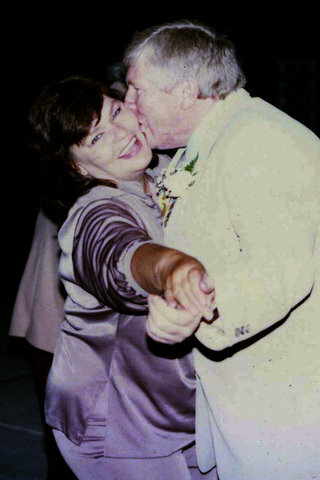 Nanny and Bucka (my grandmother and grandfather). I mourn the stories she told, and would still be telling. I wish I had written them down, recorded them, found some way of preserving them. I remember my grandmother much the same way I remember those cats that are in a home 3,000 miles away from me: as a vague shape, a tinge of color, a feeling. She is a conversation at twilight, a bit of torn up paper, a collection of pretties. I wish I knew her better. *This post originally was published on another personal blog I no longer keep up.